Submitted form events record when a HubSpot form on your website receives a submission. In your HubSpot account, navigate to Reports > Analytics Tools. In the upper right, click Manage events. In the upper right, click Create event. To easily find and keep track of your event, click the Tags dropdown menu and select a tag. 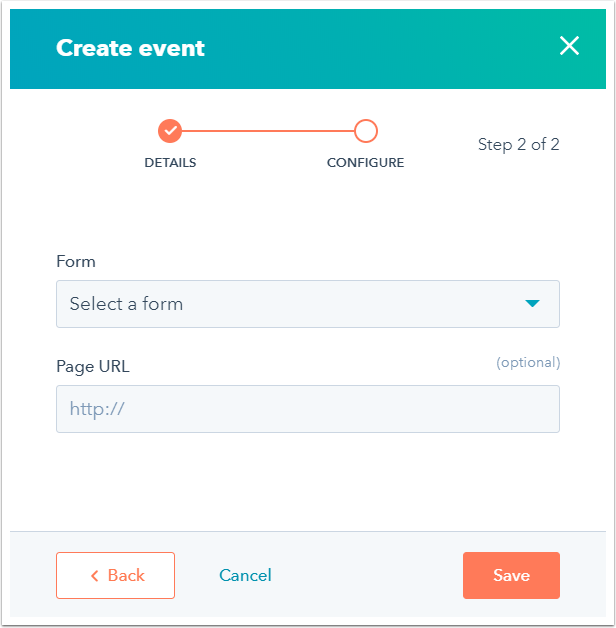 Select Submitted form as the Event type. Click the Form dropdown menu and select a HubSpot form. If you're using an external form via the Forms API, select the corresponding HubSpot form the submissions are posted to. 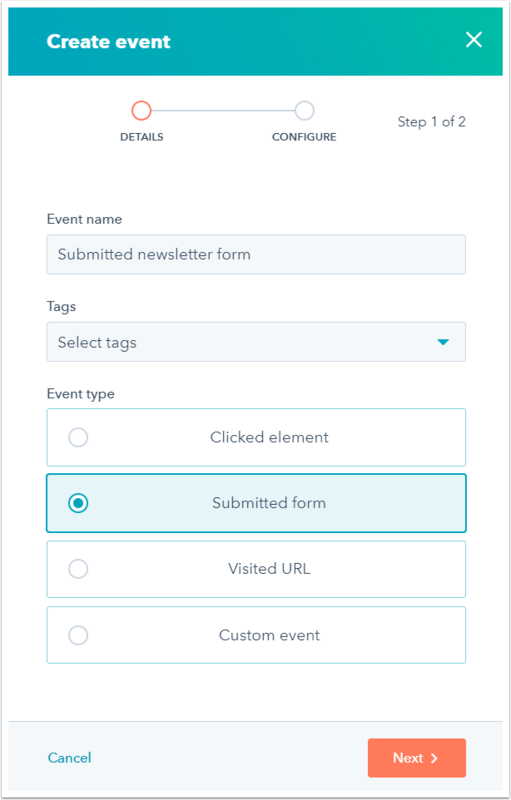 To track non-HubSpot forms without using the Forms API, use custom events instead. If you have the form placed on multiple pages and only want to track one instance of it, enter the Page URL. Click Save to finish creating your submitted form event.